Valdespino's sherry house is one of most traditional ones in the region. 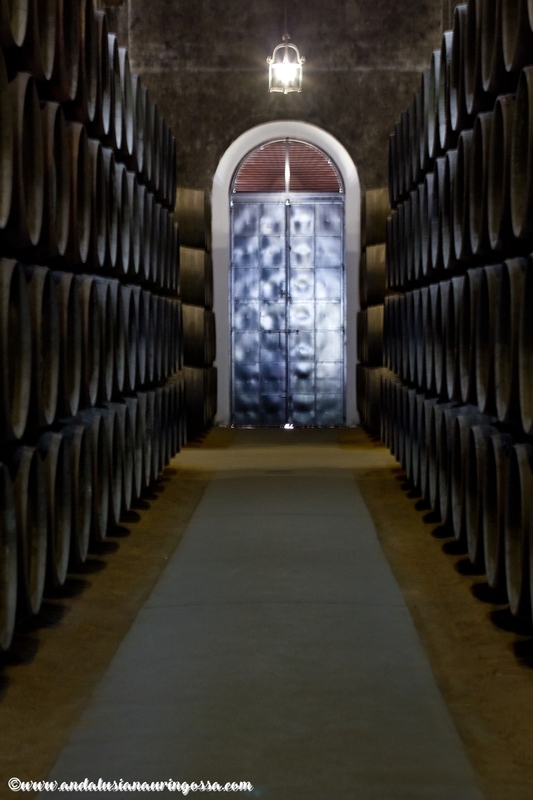 Tour of the bodega is an amazing experience and something definitely not to be missed when in Jerez! 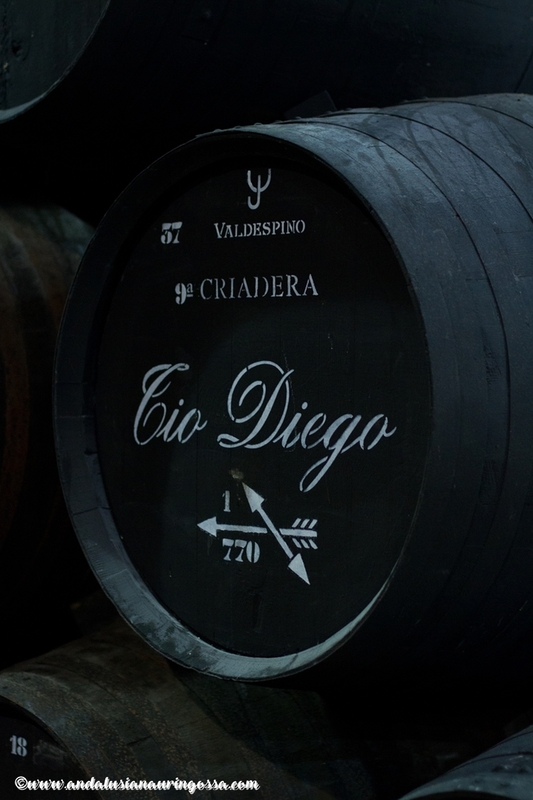 ”Yes, it is... rather special, isn't it", Ignacio Lopez de Carrizosa smiles and looks around amidst the endless rows of barrels in a dimly lit cellar of Grupo Estevez, the sherry bodega behind Valdespino sherries. The damp air is thick with the dark scent of sherry. High on the ceiling a silvery web, known as angel's breath sways slowly in the breeze that runs through the bodega. The ambiance is strangely religious - almost as if I'd stepped into a church. A meter-long crucifix hanging on the wall only adds to this, as as does the peculiar organ music quietly echoing on the background. The music isn't just any old music - it is genome music which mimics the particular genetic sequence of micro organisms. "Flor, the yeast layer that protects the biologically aged sherries from oxidation is a living, breathing thing", Ignacio explains. "This particular music helps its grow". "So José's reearch has convinced him, anyway" he adds with a slightly awkward smile as his eyes turn to his shoes. José is no other than José Estevez, a man who's dedicated his whole life to sherries and preserving the traditions of Grupo Estevez. 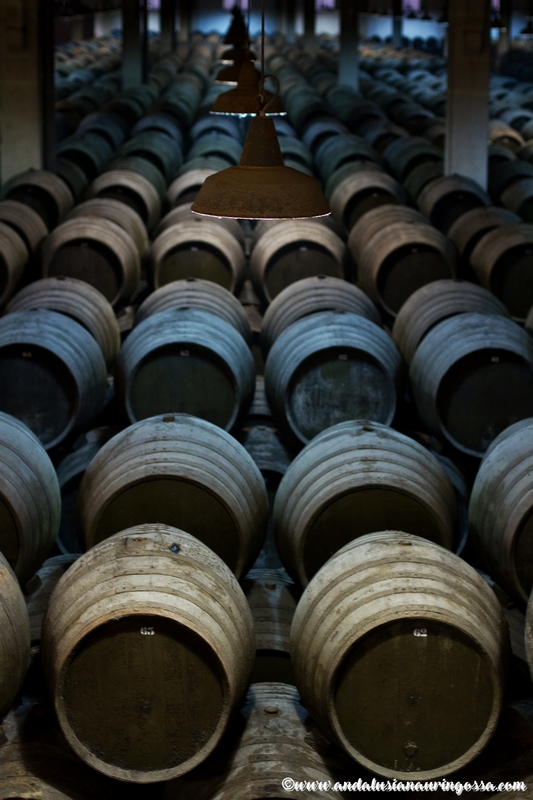 Controlled by Estevez family since 1984 the roots of this bodega lie in a company specialized in sherry and brandy, founded in 1809. In 1989 it merged with Marques de Real Tesoro. In 1999 they also acquired Valdespino and in 2007 another legend was added to the mix: La Guita - the market leader of Manzanillas. Valdespino is Grupo Estevez's crown jewel. 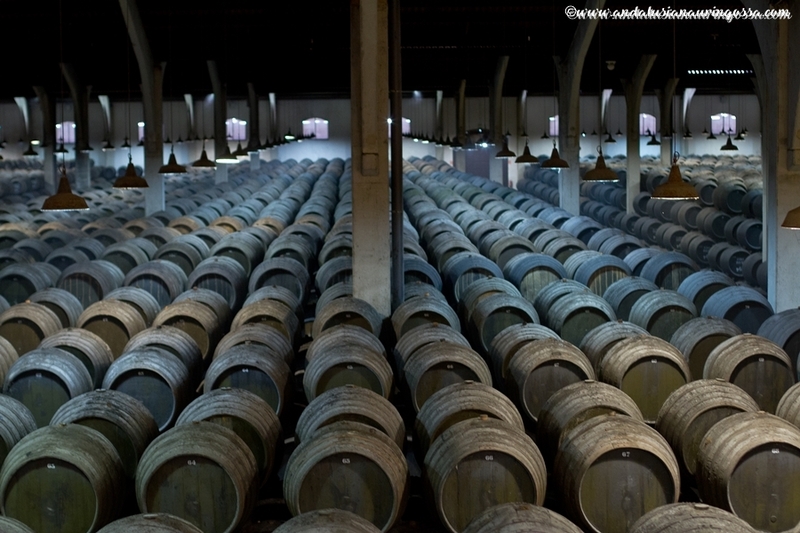 House itself is one of the oldest in Andalusian Sherry country and one of the most traditional ones, too. 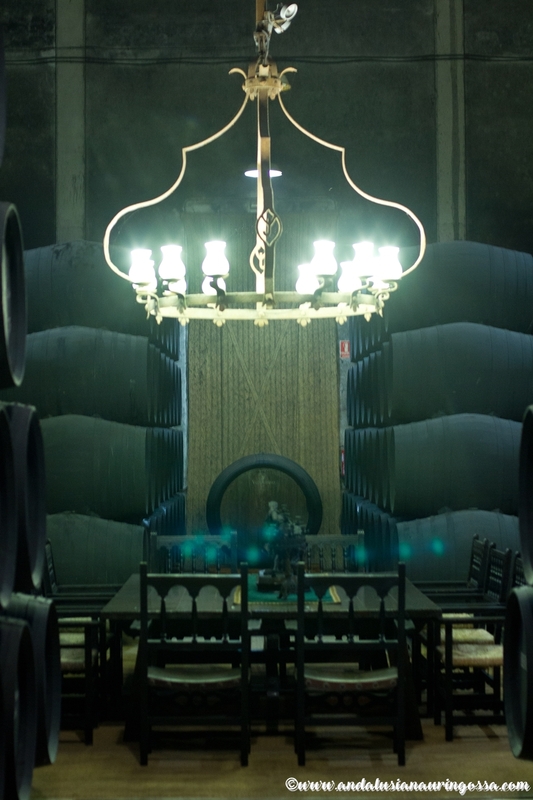 Its story started already in 1264, when Don Alfonso Valdespino, one of the 24 Christian knights to fight alongside King Alfonso in a bid to reclaim Jerez back from the Moors, started cultivating wines in the region. 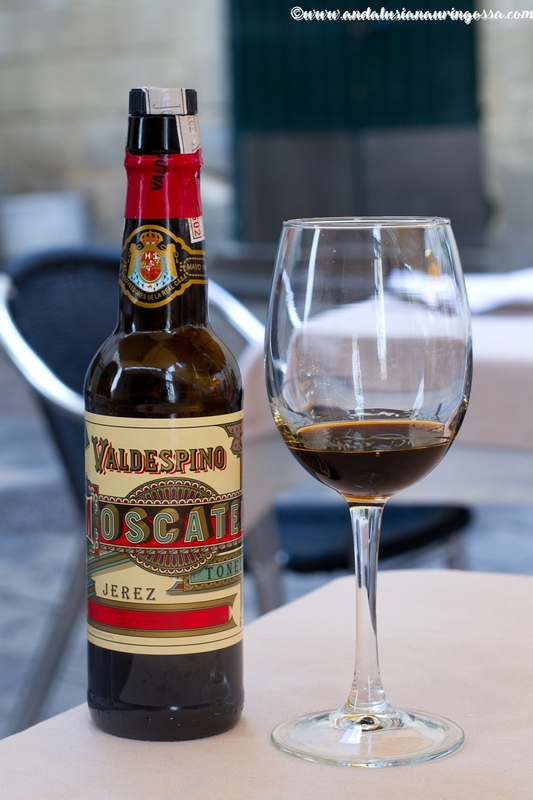 Though there are documents detailing commercial activities as early as the 15th century, Valdespino wasn't registered as its own brand until 1875. In 1883 it was granted the royal warrant for the Spanish Royal Family and in 1932 Swedish Royal House followed suite. 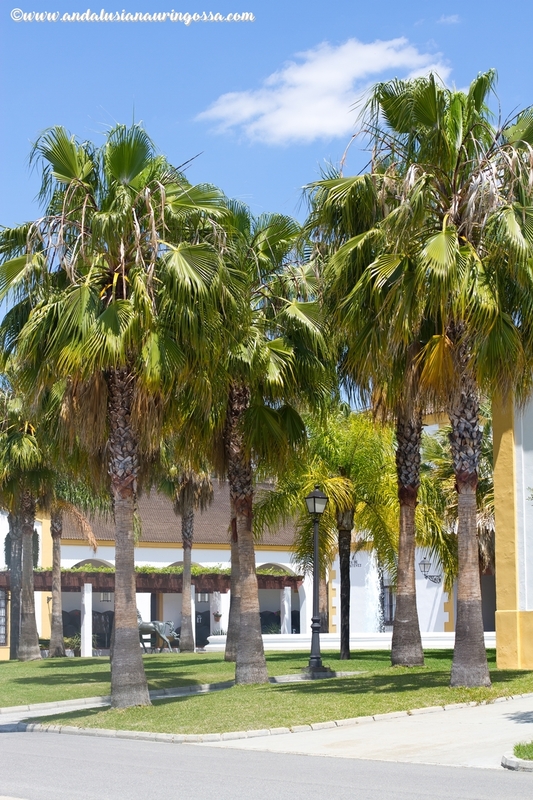 "Being located inland, Jerez has its own particular climate", Ignacio ponders as he compares it to Sanlúcar de Barrameda, home of Manzanilla. "Winters, for instance, are colder and drier here". 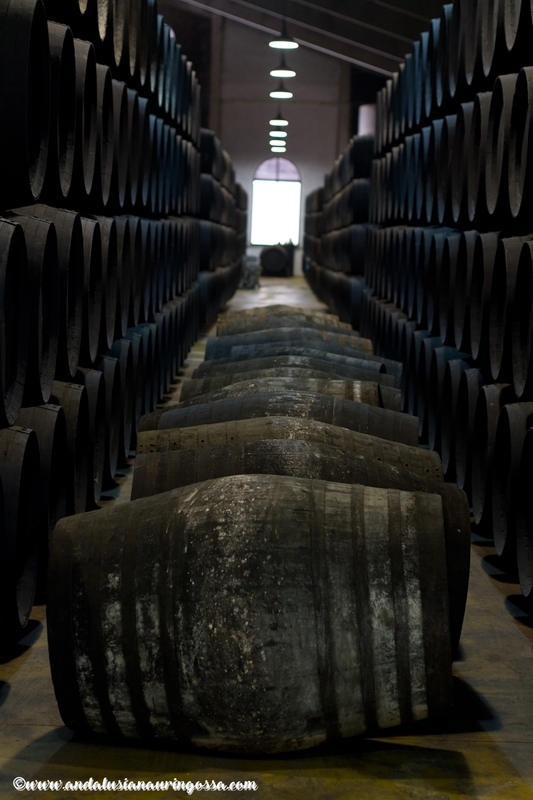 Winds that the bodegas are exposed to, play a pivotal role in the process of sherry making, too and they are taken into consideration when deciding which direction a bodega should face. Particularly Levant, which blows from Eastern Mediterranean and dry and warm Western/ Southwestern Poniente wind are crucial. So is adequate humidity and there are sprinklers to water the bodegas' floors to maintain the optimal levels. 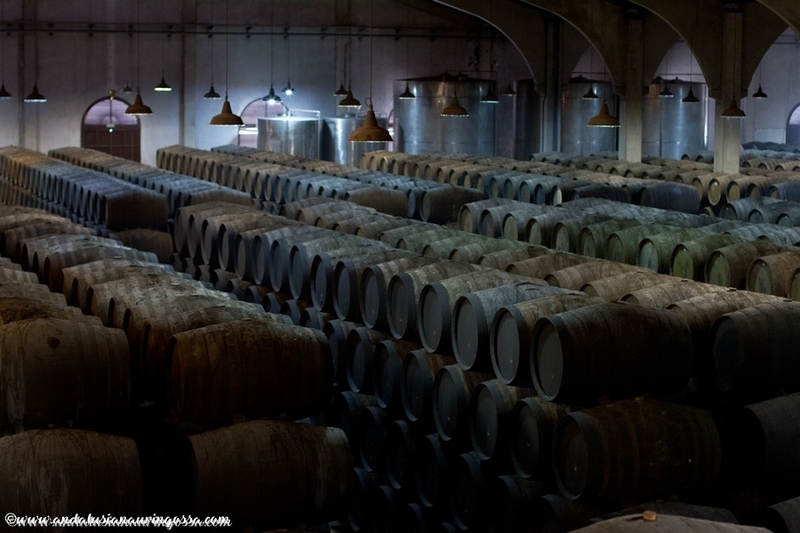 The right circumstances in bodegas are crucial as sherry is a wine that's made here and not in the wineyards. The mostly used grape here, too, is Palomino. "Thick-skinned and not particularly aromatic" is how Ignacio characterizes the grape. 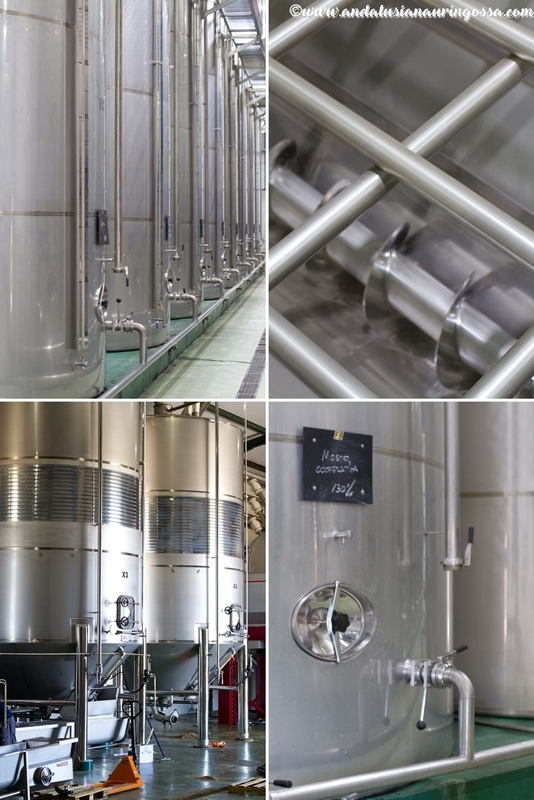 "Wines made from it are really nothing to write home about, but for this purpose it is ideal. The right circumstances allow it to age beautifully and produce incredible wines!" 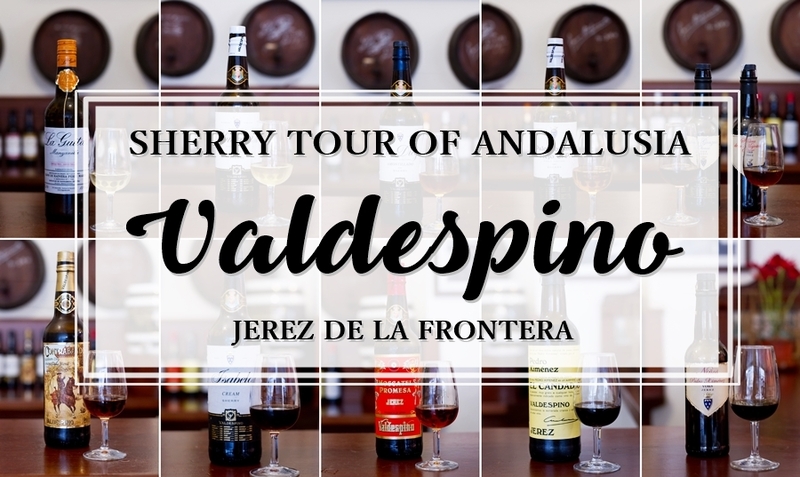 Valdespino is in many ways a very particular sherry house. 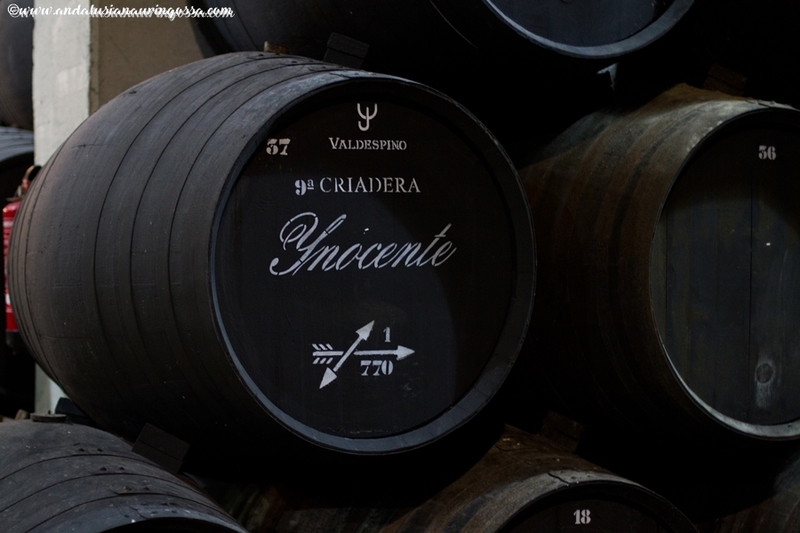 Fino Inocente for instance is the only single wineyard sherry and the only sherry in the market that is still fermented in oak casks as opposed to steel tanks. Another thing that makes it exceptional is the number of criaderas: whereas normally there might only be 2 or 3 of them, this one has a whopping 10. 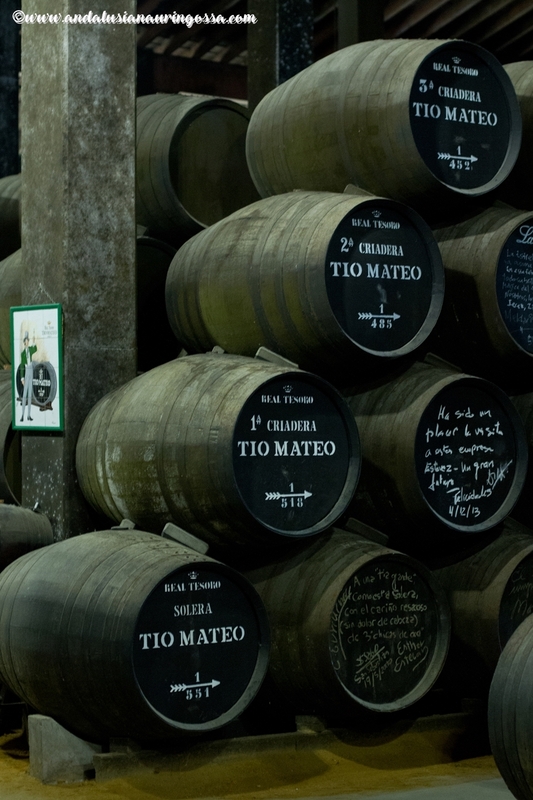 Oh, and in case you've ever wondered sherry houses' strage way of naming their sherries Tios (Tio Mateo, Tio Pepe, Tio Diego...) the explanation can be found in the history of sherry houses themselves. They have traditionally been family-owned businesses passed on for generations. The world "tio" refers to uncle and is thus a tribute to the patriarchs of the families. Another peculiar thing that only serves to make a visit to the bodegas seem even more church-like is the way the part of a bodega storing all the most prized and rares of sherries is called Sacristia - a sacrasty. Valdespino was the first one to register the use of that word in 1910, but these days other bodegas have (illegally) adopted the word as well. 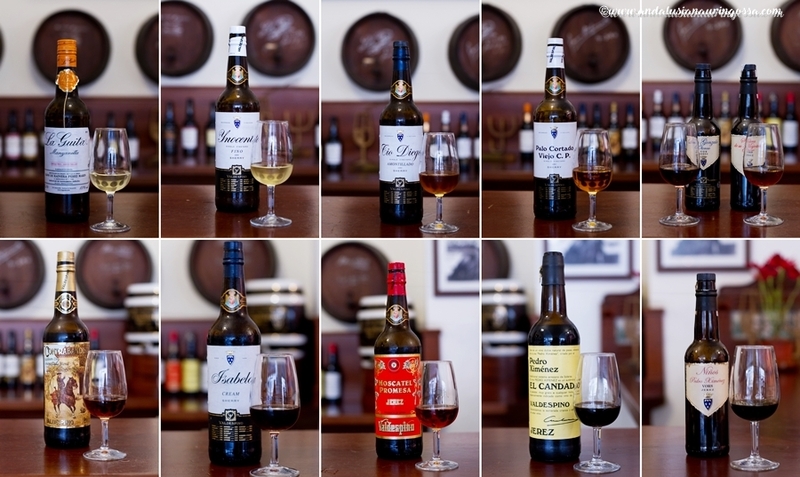 Last decades have seen sherry's popularity decline in the world and Spain is no exception. 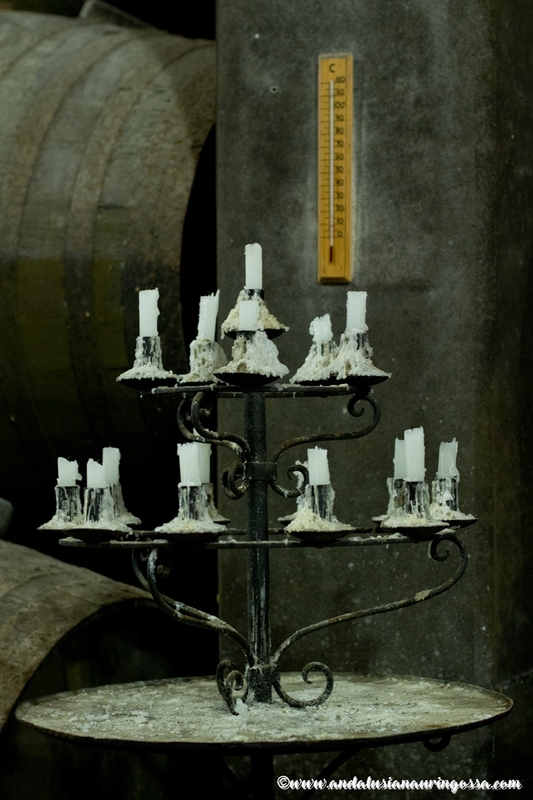 "Demand creates more demand", Ignacio reminds and continues to explain that when the popularity was at its peak in 1960's, , 1970's and 1980's the bodegas tried to meet the demand with poor quality sherry. 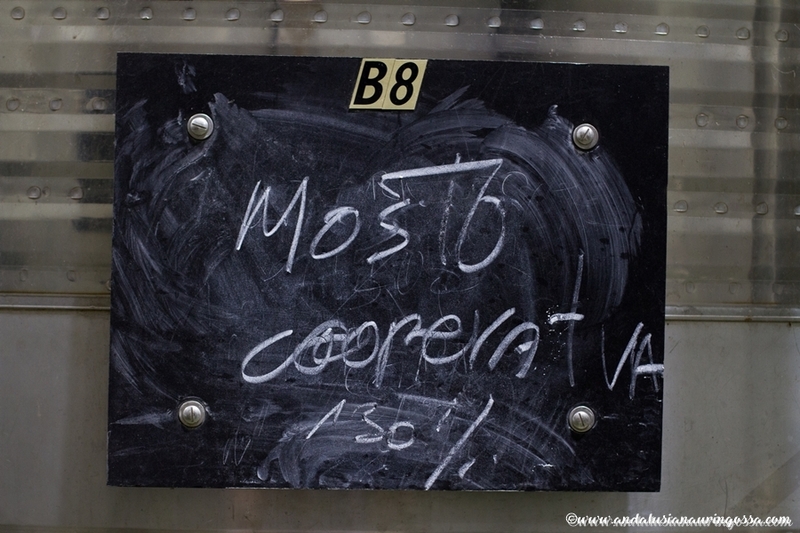 "It is also one of the most misunderstood wines", Ignacio points out. 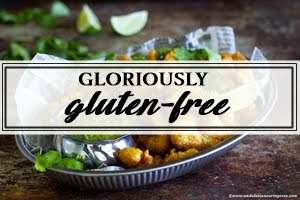 "It is most definitely not just an apero - it is the perfect accompaniment to variety of foods!" For him the future of sherry lies in the marriage of sherry and food. 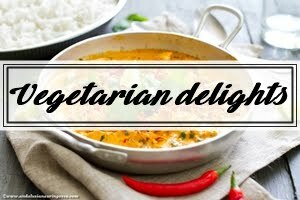 "Owing to its dry and aromatic nature Fino, for example, pairs well with dishes which would kill white wine. Oysters for instance are a classic combination. " 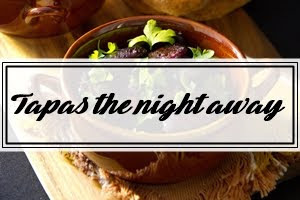 He also encourages people to try sherry with other cuisines than just Spanish. "Fino and Manzanilla have a wonderful umami-like notes that pair well with sushi and Oloroso you could try with duck. Or reindeer!" Cream sherry is something he'd pair with blue cheese, Medium Dry with foie gras and Amontillado, he says, works well with artichoke and green asparagus - soon in season again! 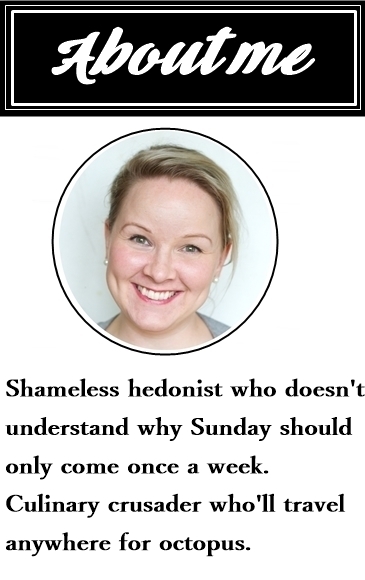 "Sure, sherry is not the easiest of wines, he admits, pointing out it does require knowledge and training. "It will never be the go-to drink for the youth", he laughs. 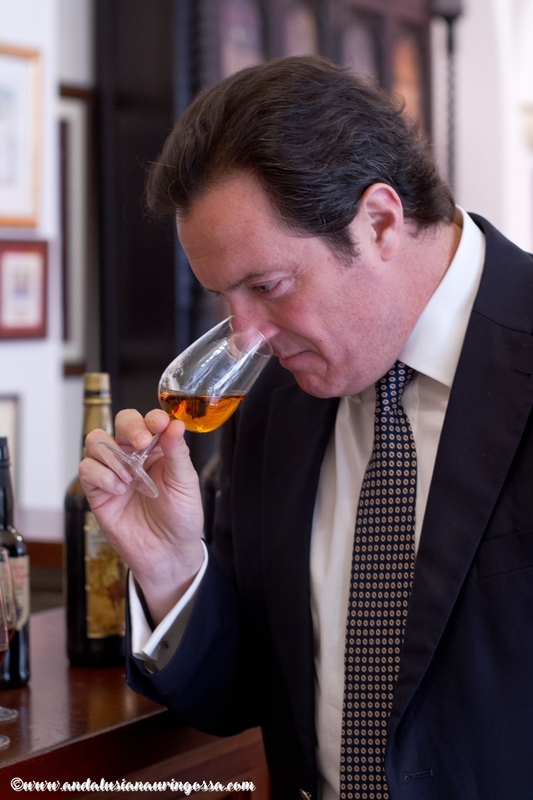 Instead he puts his faith in the more discerning consumers and believes the wine will find a new generation of sherry aficionados in the foodies. Early 2000's marked the beginning of the global revival as far as sherry is concerned and Ignacio has welcomed the change with great optimism. He tells excitedly about sherry bars opened in places like New York and London and the newly-found appreciation the wine now enjoys, also as a base for cocktails. 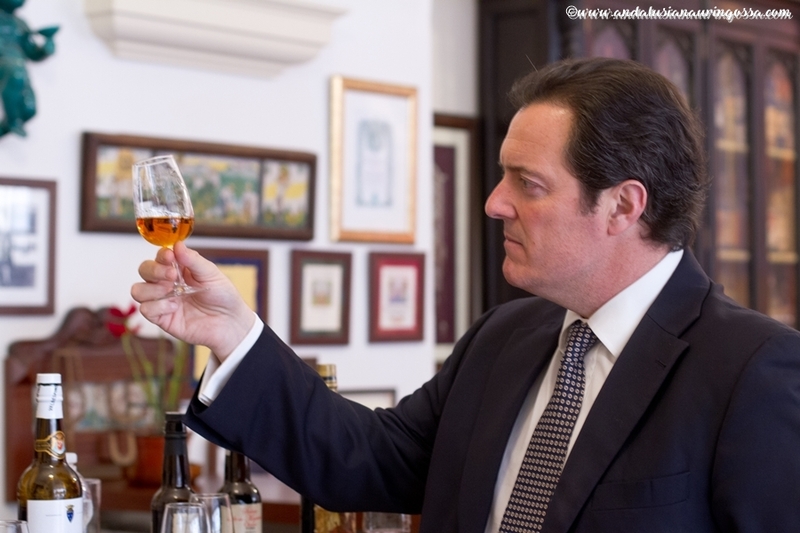 Ignacio's own favourite is Palo Cortado (for more on sherry and the different types please see my previous blog post over here). The part of a bodega visit I'd been looking forward to the most is also the most enjoyable one: I'm in for a treat after another. La Guita spoils with oceany, briny notes typical for Manzanilla. Inocente is, without a doubt, one of the finest Finos out there. The aroma of this 10-year-old individual has developed and reached spicier notes with hints of toasted bread. Tio Diego Amontillado on the other hand has butterscotch-like notes to offset the gentle spiciness. 25-year-old Palo Cortado Viejo CP's complexity makes me start to understand what the fuss with this wine is all about. Mineral aromatics mingle with toffee-like toastiness and fruity notes. Don Gonzales Oloroso VOS (20 years) charms with dried fruits, complexity, nuttines and long finish that ends with smoky notes. 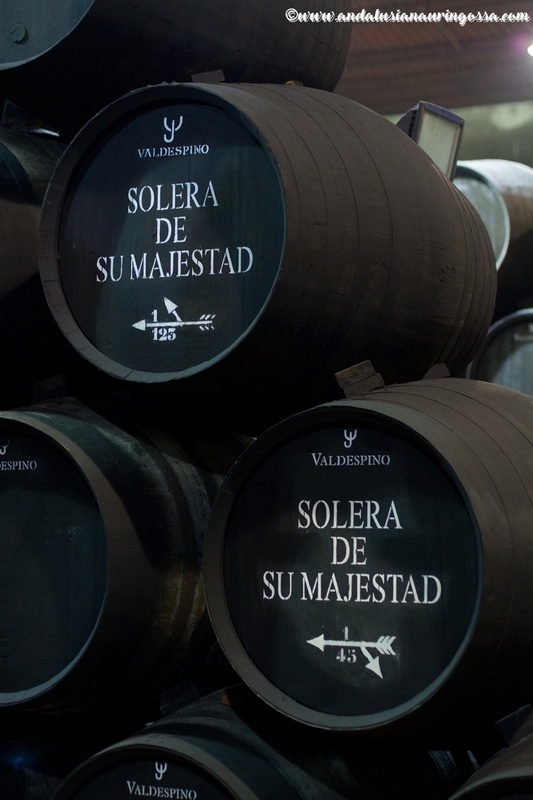 Solera de su Majestad Oloroso VORS is minimun 30 years of age and as such a mature delight with warmth and varnished wood. 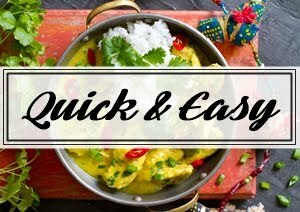 Taste is more concentrated than the previous and also features a more pronounced fruitiness. Oh, my. Contrabandista on the other hand is medium dry Amontillado blend with a hint (4%) of Pedro Ximénez. On the nose its chocolateyness, toastiness and notes of dried fruit promise a decidedly sweeter taste, but it surprises with its dryness and oakiness. Isabela Cream is a 15-year-old Oloroso Blend (25% PX) which is blended already before fermentation. On the nose this, too, promises more sweetness than it delivers: with notes of walnut and burnt sugar the after taste is surprisingly dry. Moscatel Promesa is a 100% Moscatel and seduces a lover of sweet sherries with its beautifully concentrated toastiness and chocolatey taste, but also surprisingly sharp notes of orange peel. A grrrreat combination. Pedro Ximénez El Candado is one of my all time favourites. It gets its name (El Candado = padlock) from the tiny padlock each bottle comes with. Raisins and other dried fruits. Dark, divine drink. Niños Pedro Ximénez VORS is another PX beauty which Robert Parker awarded with impressive 98 points. Everything you'd expect from PX: toastiness, chocolate, coffee and dried fruit but even more intense than the previous. Price tag for this one is in the couple of hundreds region and no wonder. Uhhhhhh. All this talk about food and wine got my stomach roaring - right on time for lunch. As Ignacio studied my reactions to the sherry tasting, his face lit up and our lunch plans got a makeover. 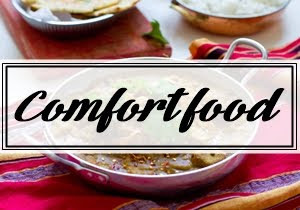 Instead of La Carboná, a Bib Gourmand-awarded restaurant set in an old renovated sherry bodega Ignacio announces he's going to take me somewhere else; to a restaurant that he remembers has just purchased "a bottle of sherry I absolutely need to have". And sure enough, this is no place for false modesty - the sherry he's talking about is none other than Valdespino Moscatel Toneles which scored a full 100 points in Robert Parker's Wine Advocate. 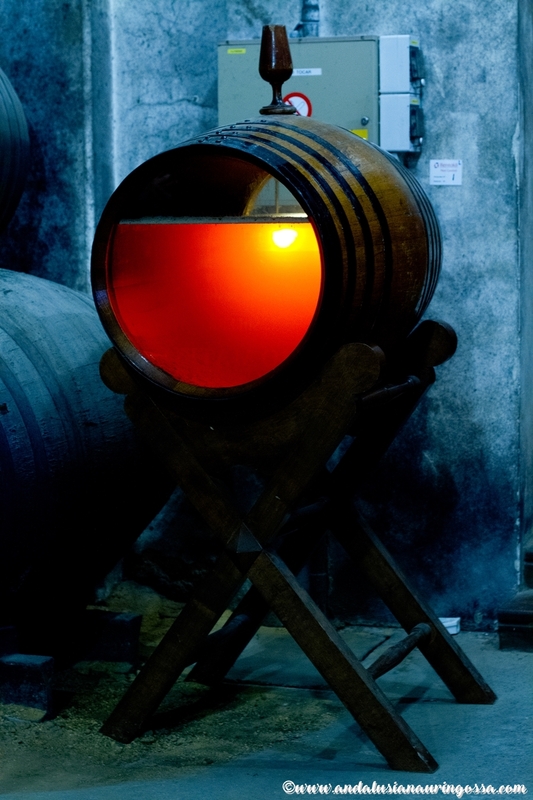 Just so it happens it's also the oldest Moscatel on the market and one of the rarest. 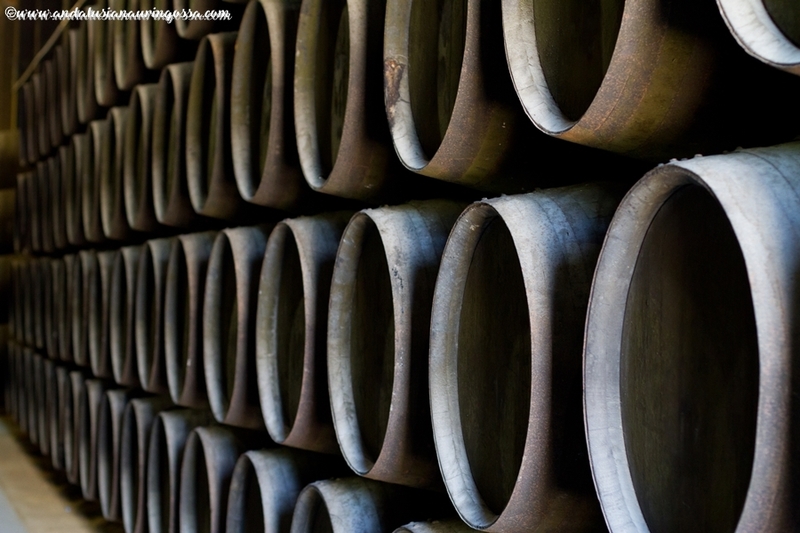 On average the wine is about 100 years old and only approximately 100 demibottles are bottled each year. No wonder then, that the moment I post a photo of it onto my Twitter feed I'm inundadted with questions as to where on Earth I even got my hands on a bottle. 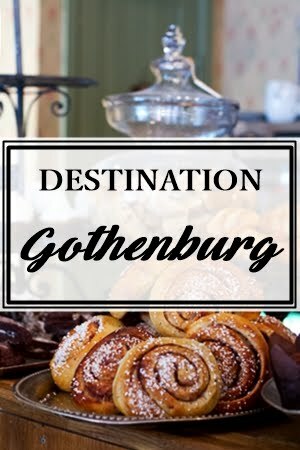 Its incredibly intense flavour has liquorice-like spiciness, dried fuits such as fig and orange peel. Each sip takes you on a journey like you've never been on before, introducing one to something new with every turn. A glorious, glorious wine. And without a doubt, worth every penny of its princely price tag (at its cheapest the price for a bottle starts at €150). The terrace of El Bichero is basking in a glorious sunshine. The shellfish platters we've been feasting on will be etched on my memory for ever. Whole day has been nothing short of incredible - I'm so moved I'm practically in tears of disbelief. The things I get to experience! As Ignacio is looking the other way, I reach for the bottle and pour myself another glass. I mean - what's better than once in a lifetime? Twice in an afternoon. Oh, how life is good.